The Peranakan Museum in Singapore is small but really lovely and interesting. Steph visited at 7:30 on a Friday night (half price Friday nights! That all museums would do such a thing). Post is mostly about crockery and needlework, but does include some discussions of death (ooh ominous) and musings on religion. With great delight, it’s time to experience the Most SF Future Museum Steph has ever visited; in the Most (Aesthetically) SF Future City Steph has ever lived. I know you’re wondering, will Steph ever finish this endless tour of museums and/or museum shops? No, because she’s moving to Singapore in four weeks where her job is literally ‘do science-based art’, so you’re looking at another few months. Settle in, quokkas. This week on museum shops of the world: National Maritime Museum in Gdansk, Poland. AS PROMISED, feelings about East Side Gallery. The Chinese Museum is one of my favourite places in Melbourne. Located beside Her Majesty’s Theatre, in a building which used to hold overflow from the theatre’s wardrobe, it contains four floors of Chinese-Australian history, from the gold rush to the end of the White Australia Policy. I visited the Museum itself a few months back, but I didn’t have a chance to look closely at the shop that day. Finally, I’ve had a chance to rectify that serious omission. J asked “is this all Henry?” because I accidentally convinced him all the steam engine parts were the inside of Henry from Thomas the Tank Engine. Sodor truly is a dystopia. 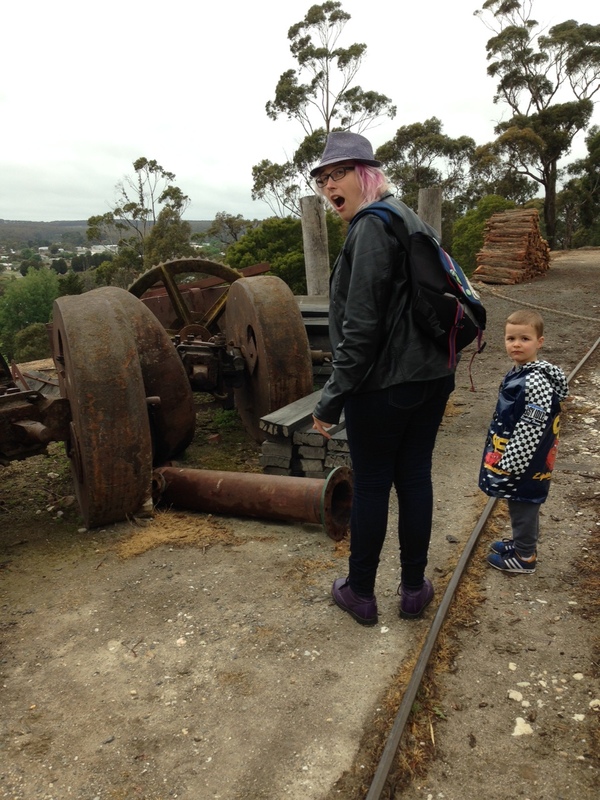 Stephanie went on a family excursion with four year old nibling J to Sovereign Hill on Monday. It was hilarious! She took a day off work, caught the V/Line, wandered through a mine, oohed and ahhed over steam engines and made fun of old books. She also has very, very strong feelings about their gift shop.